George's Place, outside Temple Street Children's Hospital. 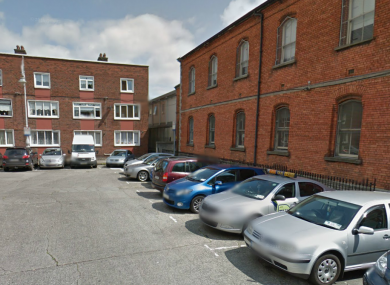 A NURSE IN Dublin was left shaken after a man forced her out of her car near Temple Street Children’s Hospital and drove off in it. Gardaí say the incident occurred at 7.30am yesterday morning at George’s Place, where the woman, who is in her mid 30s, was parking her car. A man approached her, took her keys and bundled her out of the car before driving off in it. The vehicle was later found burnt out near Store Street. Gardaí said the woman was not injured in the incident. In a Facebook post after the incident yesterday her husband said she was “quite shaken” by the experience. No arrests have been made in connection with the incident and officers at Fitzgibbon Street Garda Station are investigating. Email “Nurse left shaken after carjacking outside children's hospital”. Feedback on “Nurse left shaken after carjacking outside children's hospital”.